This book is written for those who have no prior Java programming skills or even have no programming experience at all. 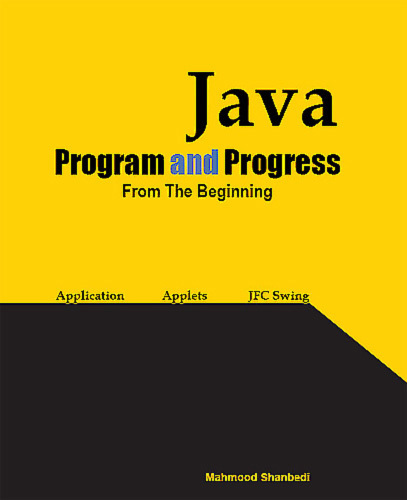 Book starts from the beginning and moves straight to cover the advanced topics in Java programming language. Unlike many Java books, this book is designed to cover everything and keeps the simplicity of explanation through the entire chapters. The book itself acts as a teacher. It demonstrates and presents all programming codes, displays an output for each code, gives a quick analysis for each program, covers Exercises, Assignments, Laboratories, Projects and solutions.